The lift system is a critical part of your window treatments and a part of the process you want to give a good amount of thought. Do you have children or pets? Is your window high up? Do you want the ease of operating your shades from your couch or bed? These questions, as well as others, will help you decide the best lift system choice for each room in your home. The most traditional lift system. When you pull down on the cord, it opens your blinds and the cord becomes longer as a result until you decide to close it again. This option is not ideal if you have children and pets as they can get entangled in the cords, which can result in serious injury or even death. An alternative to the standard cordlock, the EasyRise® system is a pulley attached to the wall. The clutch roller system is similar to the EasyRise® but is instead beaded plastic or metal chain and used on roller and screen shades. UltraGlide® is an amazing alternative for when a cord for your window treatments is the best option, but you don’t want to worry about choking hazards. Gently pull on the single cord to raise the shade part way and let the cord retract. Then repeat the process until the shade is at the desired position. To lower, simply pull the cord towards the middle of the shade and release the cord and the shade will gently lower itself. If you want to take window treatment safety to the next level, choose the LiteRise® System. This system is cordless and is operated by simply holding the middle of the bottom rail and manually manipulating the shade into the desired position. 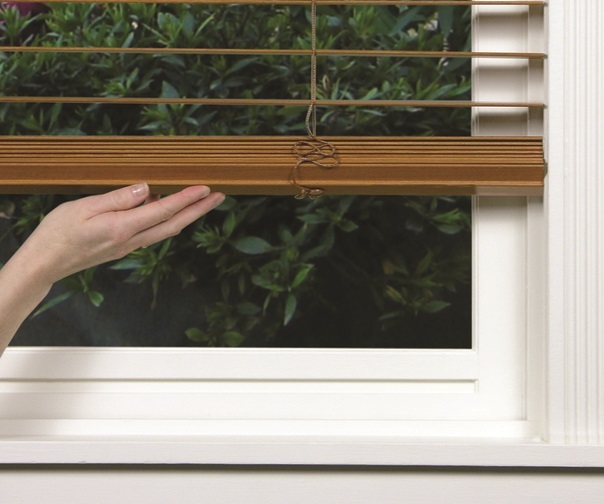 Something to keep in mind with this cordless option is that being able to reach the top of your windows is important in order to raise the shades to the top. Therefore, if you have tall or hard to reach windows, the LiteRise® System is not recommended. Excellent for tall or hard to reach windows, PowerView™ is our motorized lift system option. Open and close your window treatments at the touch of a button on the Pebble remote or through your smart device when used along with the PowerView™ hub. PowerView™ allows you to set times for your window treatment to open and close and works seamlessly with your smart home system. If you desire motorization, please let us know before you purchase. Motorization cannot be integrated into a window treatment after it has been purchased and installed in your home. SoftTouch™ Motorization is a budget friendly, battery powered system that is controlled with a wand for when you want motorization without the bells and whistles. Simply push up or pull down on the wand and your shades will gently lower themselves.